Around the world, International Women's Day continues to grow every year recognising the achievements of women from all backgrounds and occupations. Whether they be social, economic, cultural or political, the global celebration marks as a call to action for accelerating gender parity. The theme for 2018's International Women's Day is #PressForProgress which highlights the movement's urgency to push for change and achieve equality. We have taken a look at brands from across the globe aligning their campaign with #PressForProgress, inspiring women to take bold, pragmatic action and unleash the limitless potential that they have to drive the greatest change. Barbie creates 17 realistic-looking dolls inspired by impactful female figures from different backgrounds and fields. The diverse range of dolls from various backgrounds and ethnicities include painter Frida Kahlo, actress and philanthropist Xiaotong Guan, aviator Amelia Earhart, USA Olympic snowboarder Chloe Kim and wildlife conservationist Bindi Irwin along with a lineup of inspirational women. "As a brand that inspires the limitless potential in girls, Barbie will be honouring its largest lineup of role models timed to International Women's Day because we know that you can't be what you can't see," Lisa McKnight, Barbie's senior vice president and general manager. Barbie is encouraging fans to share women who inspire them on social media using the hashtag #MoreRoleModels. Serena Williams debuts new Nike campaign has proven time and time again, there's no wrong way to be a woman. Serena William states in powerful voiceover, "I've never been the right kind of woman. Oversized and overconfident. Too mean if I don't smile. Too black for my tennis whites. Too motivated for motherhood. But I am proving, time and time again, there's no wrong way to be a woman." Nike has empowered the movement of woman equality through sport and messaging through the launch of their campaigns. Last year Nike challenges gender stereotypes with powerful online videos to mark the celebration of 2017's theme. View 2017 Nike's International Women's Day campaigns here. Uber has released a campaign film to praise its female drivers. #DrivenWomen brings together women who have joined Uber to earn an income and balancing their additional responsibilities which include family, work and education. Uber wants to challenge the outdated notion and celebrate the stories of women who are changing the conversation daily. "The film is aligned with this year's International Women's Day global theme, #PressForProgress", Director of brand and strategy Asia Pacific at Uber, Eshan Ponnadurai. "We are delighted to showcase this film, which features our female driver-partners who challenge the status quo by driving with Uber. It's about starting a conversation around how women are empowering themselves." The campaign film will go live across key Uber markets in Asia, including Singapore, Malaysia, Thailand, Philippines, Vietnam, Hong Kong and Taiwan. 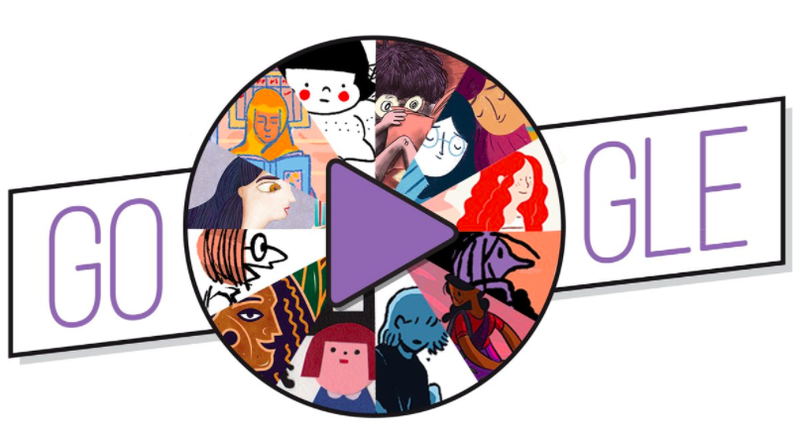 Google Doodle celebrates International Women's Day with 12 different female artists from 12 different countries, creating animated tales of women from around the globe. When you jump into your Google search you will see a "play" button, showcasing these stories. Tech companies are working towards diversifying their work forces to include more women and minorities. Aiming to celebrate women's voices and uncover inspiring stories of trials, hope and success in everyday life, Google launches the #HerStoryOurStory campaign. The search giant said: "Each story represents a moment, person, or event that has impacted their lives as women. "While each artist tells a unique story, the themes are universal, reminding us of how much we often have in common. "We hope that the combined power of words and images help bring these stories to life in a way that invokes feelings of understanding, empathy, and spirit of the day." 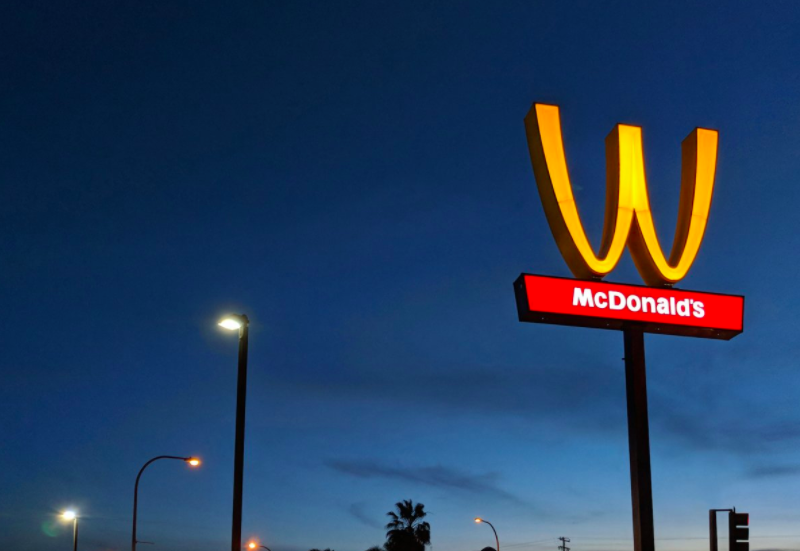 McDonalds in California has flipped its golden-arches upside down to celebrate women everywhere to honour International Women's Day. The fast-food franchise says it will turn its logo upside down on all its digital channels, such as Twitter and Instagram for the day and 100 restaurants will have special "packaging, crew t-shirts and hats and bag stuffers" to celebrate. Sports brand PUMA have rolled out #DoYouStories campaign for International Women’s Day. The campaign focuses on uncompromising and unapologetic women taking center stage in a series of stories to share their journeys and visions of the future, with the hopes of inspiring others around the world to take action and share their own stories. The campaign features basketball player Skylar Diggins-Smith who talks about her struggles and what she is doing to change the world around her by working with Boys and Girls Clubs of America to prevent bullying. Lauren Lovette, NYCB principal dancer and choreographer, narrates her personal battles and how she gives back to young girls through free dance lessons with Groove with Me. See more stories #DoYouStories. Last years theme for International Women's Day was #BeBoldForChange. Take a look at campaigns from 2017.